I can be a bit of a trout snob. There...I admitted it. Don't get me wrong, I don't look down at those who fish other species...far from it. But, I love fishing for trout, and don't spend a lot of time pursuing other species. As my good friend Morty of The Fiberglass Manifesto likes to point out...I live right next to a lake that is full of fish. I've fished the water occasionally for years, usually when the younger nephews come to visit. 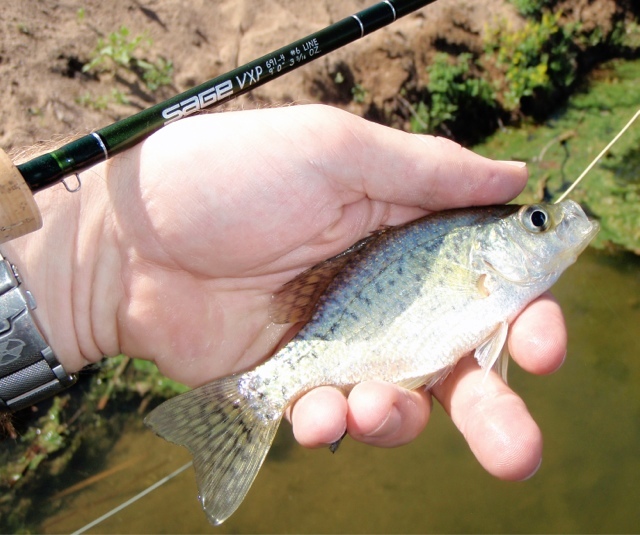 They have always caught plenty of panfish and bass, usually on a spinning rod, and I have even taught them the basics of fly casting on these waters. However, I've really taken it for granted, and haven't spent much time fishing these waters, frankly, due to the fact that they haven't held trout. As they like to say in the business that I am in, "If you travel more than 50 miles away and try to teach something, you are considered an expert. If you teach it in your home city you are just doing your job." I imagine that this holds true for water. It is easy to take something for granted that is right in front of you. I drive past these lakes every day, often when driving to other locations to catch trout. It seems like it might be time to focus on water that I can walk to. I'll admit, the fact that trout were stocked in the lake might have made me a bit more curious, but I'm trying to be a bit more reformed, and target more species of gamefish. So, this weekend I walked down to the lake to give it a try again. The morning was clear, and the winds calm. I watched fish jumping, and huge carp cruising the shore. 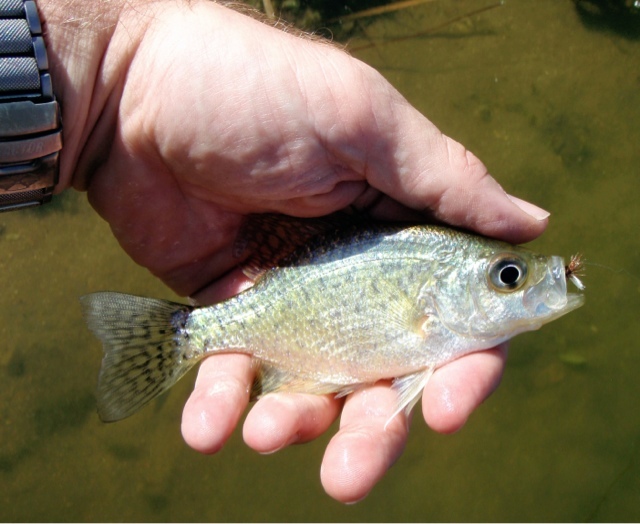 I had a very nice time catching panfish, and gained an appreciation for my home water. I'd still like to catch some of the trout they put in the lake, but I was satisfied with the enjoyment of bringing fish to hand...whatever the species. CONCENTRATE ON THE CARP. They are the only fish in that lake that will take you to your backing and kick your arse. Well, the peanut gallery has spoken and I've got nothing to add except do it. 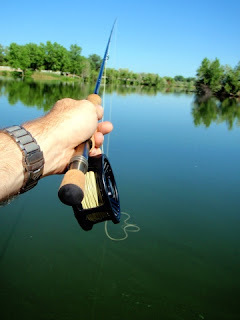 I'd love to hook a carp...I'll keep giving it a shot!